Western Australian based gold exploration company Red Mountain Mining (ASX:RMX) has released the results from their Pre-Feasibility Study of its Batangas Gold Project. The findings of the study show that RMX’s flagship Batangas Gold Project will generate A$46 million in free cash flow during the first 7 years of production (after capital and pre corporate tax & admin. at gold price of A$1,700 oz). With only $22 million of up-front investment required to get the project off the ground. Located 120km south of Manila in the Philippines, the mine is expected to recover 116,000 oz of gold during the first 7 years of production, with an additional 26,000 oz of recoverable gold added in this latest PFS, which was not originally identified in the 2014 Scoping Study of the area. 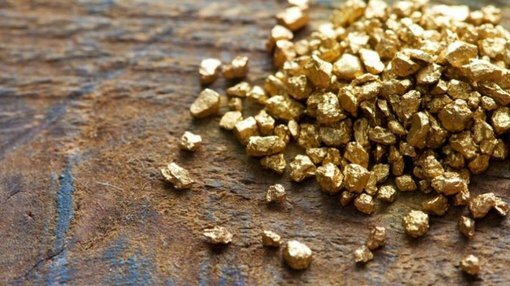 The project is expected to generate A$190 million in revenue from gold sales, A$117 million of costs will be spent in the Philippines and A$13 million in royalties and taxes will be paid to the Philippines government and local communities during the initial 7 years of production. RMX announced that their Maiden open pit ore reserve at Batangas contains 128,000 oz of gold including high-grade 100,000 oz at 4.2 g/t gold, including silver credits. Due to the open pit nature of the mine, RMX is able to access the resource from the surface resulting in a relatively low cost per ounce of only A$999 per oz. With these healthy margins, RMX will have a buffer built in should the gold price for any reason fall and is also positioned to leverage any upside moves in gold as well, gold trading today at A$1,740 per oz. 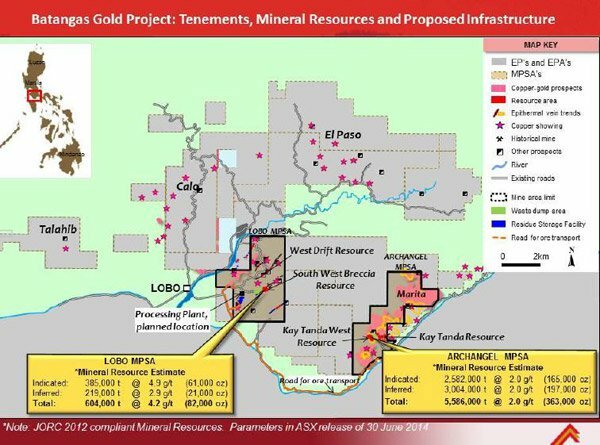 Cashflow generated could be used by RMX to further expand on the resource which is showing an additional 320,000 oz of gold inferred which was picked up in the study, including 14km of identified mineralised structures at Lobo. “This is the culmination of the detailed work undertaken by both the Company and the team of high-quality Australian consultants during the last 18 months. This Pre-Feasibility Study demonstrates the low operating costs, high margins and strong cashflow potential of the Batangas Gold Project. The high initial ore reserve grades from surface, averaging over 6.6 grams per tonne gold for the South West Breccia pit, will allow this project to achieve strong early cash flows and a high rate of return on initial capital. In addition, there is potential to expand ore reserves through drilling of the over 320,000 ounces of additional, mostly inferred, resources and upside potential remains to be tested within the 14 kilometres of identified epithermal gold structures at Lobo. The JV partners are now aiming to complete the Definitive Feasibility Study on the Batangas Gold Project by this calendar year. Based on the positive results of the PFS, the Batangas Joint Venture (BJV) partners, RMX and Bluebird Merchant Ventures have approved the study and move into the next step which is to complete a Definitive Feasibility Study on the site, followed by attaining financing to advance the project into production phase. Final permits to allow development of the Batangas Gold Project are currently being progressed through the Philippines Government approval process.